Just a few miles from the French border, in Germany’s southernmost region of Baden, Joachim Heger farms the extraordinary grand crus (Grosses Gewächs) of Ihringer Winklerberg and Achkarrer Schlossberg. On the steep slopes of the volcanic Kaiserstuhl, Joachim gives voice to unique, delicious, age worthy expressions of pinot noir (spätburgunder). For close to 40 vintages, his work has revolutionized the way we can interpret the potential of this ancient wine region. 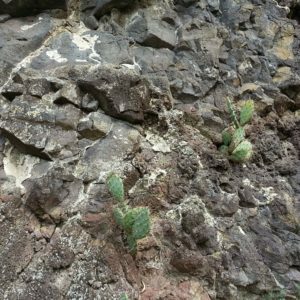 Burgundian varieties thrive here, beneficiaries of a startlingly warm climate, where vineyards bear names like “Gras im Ofen” and sun-baked volcanic hills are crowned with wild cacti. Joachim made a name for himself and for Baden with pinot noir, but he also embraces classic Germanic varieties, foremost riesling and silvaner, by allowing each to work its magic on the unique volcanic and loess soils. The results are supremely fresh, energetic wines of unmistakable depth and character. Joachim’s grandfather, Dr. Max Heger, was a country physician and enthusiastic hobby winemaker with the luck to live in the little wine paradise of Ihringen. His patients, primarily local winemakers, sparked his interest in making wine himself. He acquired vineyards on the Achkarrer Schlossberg and Ihringer Winklerberg, even then widely acknowledged as the top sites on the Kaiserstuhl. In 1935, he founded the Dr. Heger estate. His son Wolfgang, known as Mimus, took over 14 years later and it was he who brought the estate to the forefront of German winemaking — thanks to his world-class sites and dedication to quality at a time when this was not the rule for Baden’s wines. In 1981, Mimus handed the role of cellar master to his son, Joachim, a position Joachim has enthusiastically held ever since. Today, all the Grosses Gewächs and Erste Lage wines are made under the Dr. Heger label, while Weinhaus Heger is the bigger estate, with a more flexible scope. Taken together, the Heger wineries produce a broad spectrum of wines, from quality entry levels of great value to some of the finest GGs in Germany. As a Schatzi, Joachim has worked with us to find the best range of wines to offer in the U.S.
After graduation, Joachim gained hands-on experience at several estates. In addition to the crucial influence of his father, he was also inspired by three mentors: his friends Helmut Dönnhoff, Wolf Salwey, and Herbert Krebs, head of the “Qualitätsweinprüfung” department at the State Research Station Freiburg. When Joachim took over the estate, he dedicated himself to redefining the potential of pinot noir in Baden. His focus has always been on maximizing the vitality of his vineyards. He works tirelessly in the challenging terrain, and over time has incorporated organic fertilizers, cover crops, and, in selected vineyards, horse-plowing, all, as he puts it, “to better express this distinctive terroir.” He believes “these methods are essential tools for retaining and improving the fragile ecosystem of the vineyard.” Massal selection and clonal choice are also critical for Joachim, as the careful match of pinot clone to specific microclimate is of special importance in this hot, arid climate. Most influential were the trips to Burgundy Joachim made with pioneering Franconian pinot producer Paul Fürst: “Burgundy opened a complete new perspective. We learned that all is about terroir, soil, and aspects. But also how important the growers’ absolute commitment is to manual work and the steady and deep look into these components.” Joachim also learned from the New World, with trips to the International Pinot Noir Celebration in Oregon, where he met, among others, Au Bon Climat’s Jim Clendenen, with whom Joachim enjoys “a great and inspiring friendship” to this day. “Pinot noir has a very long tradition in Baden,” explains Joachim. “The first vines were planted in the year 883 by emperor Karl the Fat at Lake Constance. The production of high quality wines was interrupted and set back again and again in several wars during the last centuries. Yields were quite high and there were few outstanding wines.” All three generations of Hegers have been committed to elevating wine quality from the Kaiserstuhl. It is a compact zone comprised of 4,200 hectares of vines planted around the stump of an extinct volcano that rises above the Rhine River Valley, just east of Alsace. Geologically speaking, the Kaiserstuhl is a rare place indeed. Volcanoes in the Kaiserstuhl formed here during the late Tertiary period, at the end of a long succession of eruptions, starting in the Cretaceous. Heavily eroded volcanic vents mark the landscape and the rocks that remain are of the Miocene, dating 16 to 19 million years before the present. These volcanic rocks are of alkali-carbonate structure and contain elements of magnesium iron silicate, which can be found here as the gem peridot — a crystalline material that weathers slowly and provides good drainage. Adding to the uniqueness of the region, prior to volcanic activity in the Jurassic, sedimentary layers formed in the eastern part of the Kaiserstuhl that resulted in the creation of two distinct neighboring geological formations. 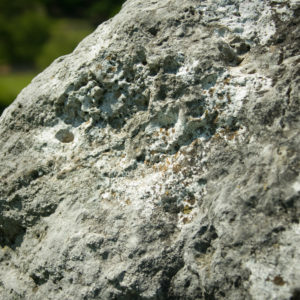 On top of this diverse mother rock, from 0 to 40 meters deep, are loess soils that were blown here after the last Ice Age from the northern Limestone Alps in modern-day Austria. The climate here is equally intriguing. The Kaiserstuhl is the warmest and driest place in Germany. Almost bizarrely, among the vines, wild grape hyacinths sprawl and iris plants blossom. Figs, apricots, even orchids and wild cacti grow well here, while rare butterflies and sand lizards thrive in abundance. It’s a magical place and Joachim knows how to let this speak through his wines. Joachim works such a wide array of vineyards and farms in such accord with their needs, it is difficult to summarize. To focus on even just three of his holdings gives a sense of the great range he has to play with. The Winklerberg, which has been called one of “the most privileged vineyards in Germany,” was subjected to Flurbereinigung in the ‘60s and ‘70s, and deleterious enlargement under the 1971 German Wine Law. However, Joachim’s vineyards are within the original Winklerberg: exceptional, with steep, sloped terraces, mostly southwestern exposures and shallow, weathered volcanic rock soils. His holdings on the Schlossberg give him a mostly south-facing amphitheater of steep banks of sparse volcanic and loess soils. By contrast, the Tuniberg is a small, terraced hill that lies between the Black Forest and the Kaiserstuhl, with a cooler microclimate and soils of limestone and loess. Joachim’s farming takes many forms, but among the most impressive is the organically worked, hand-harvested, horse-plowed parcel of old vine silvaner that goes into his “Pferd Willi” bottling. Cellar style at both Heger estates is determined by the purpose of the wine — from snappy rosés all in stainless to profound old vine silvaner made with native yeasts, neutral barrels, full malolactic, and very little SO2. For his flagship, pinot noir, Joachim seeks clarity of site expression and freshness above all. This is achieved by hand harvesting at the peak of physiological ripeness. In the cellar, fruit is de-stemmed and given a cold soak, inspired by the work of Henri Jayer. The Erste Lagen ferment in stainless, then racked by way of gravity into a mix of new and neutral barrique. Grosses Gewächs wines ferment in 100% new, extra lightly toasted barriques, preparing the wines for a long life in the cellar yet making them hard to resist in their youth. In addition, Joachim also makes some Erstes Gewächs weiss- and grauburgunder from both the Winklerberg and Schlossberg. These selections redefine the potential of these varietals in this place and they are among the most delicious, unique whites of Germany. Despite significant weather-related difficulties, we managed to bring in a very good 2017 harvest. We are exceptionally proud of our balanced pinot noirs, delightful and refreshing pinot blancs, lively rieslings, and rich pinot gris—hardly a given in a year like 2017. Unusually warm March temperatures brought about an extremely early bud break on the 8th of April. This magnified the impact of two late spring frosts around April 20th, with winemakers around Germany reporting devastating damages to their vineyards. The extreme weather shocked the vines, stalling growth. A period of capricious weather patterns with heavy rains was followed by a stretch of warm, sunny days, encouraging the vegetation to resume growing, inducing an early flowering at the end of May. A hot, dry August accelerated the harvest, which was already looking to be an early one, beginning on August 24th. We harvested the grapes in record time in order to ensure optimal ripeness levels for each of our varieties. An extraordinarily cool and wet spring forced us to face unknown challenges. A late but-break and heavy rainfalls led to a delayed start of the vegetation cycle. Our greatest luck was, again, the privileged location of our vineyards at the southern edge of the Kaiserstuhl. The constant breeze there helped dry out the vineyards and avoid rot. The summer turned out to be extraordinarily dry which accelerated the vegetation cycle; we began to harvest the spätburgunder in the first week of September, followed by the white pinot varieties. With great commitment and diligence, we were able to pick fully ripe and healthy grapes over what was an extraordinarily long harvest period. Densely structured and expressively aromatic wines could be vinified from the grapes in 2016. It is a pleasantly powerful vintage with finesse und freshness. A very mild winter followed by an extraordinarily dry and sunny march supported the growing season. Despite a bit of hail in mid-May, the average temperatures were around 30° Celsius. Bud break was homogenous and ongoing dry conditions supported the formation of very small but highly concentrated berries. The selective hand-picking harvest of Spätburgunder started early at the end of August. The extraordinarily positive weather conditions during August and September lead to very healthy conditions of the grapes. The wines of the 2015 vintage are opulent with powerful body but without being fat or overloaded. An early harvest contributed to retain a good acidity in the fruit and therefore guaranteed the typical site-specific elegance of the wines. The year was off to an outstanding start with warm weather until Easter weekend at which point the growth slowed down significantly but bud break was good. Weather cooled down until the middle of May followed by a heatwave in early June. The drastic diurnal shift during the summer months lead to coulure and as a result, yields were reduced drastically. Temperatures dropped in August which slowed the development and several passes through the vineyard were made to ensure the perfect ripeness of each lot. The 2014 wines are fruit-driven with balanced acidity levels. Their elegant structure and the moderate alcohol levels hold promise for good ageability. An extraordinarily cold spring with various frosts lead to a delayed flowering and overall decelerated growth. Although Heger did not have any real damage in the vineyards, the poor fruit set during the flowering period resulted in a considerably lower yield compared to the long-time average and clusters were loose. In this case, the loose berries were advantageous as wind was able to pass through the clusters and dry the grapes after several rainfalls in summer, avoiding rot. 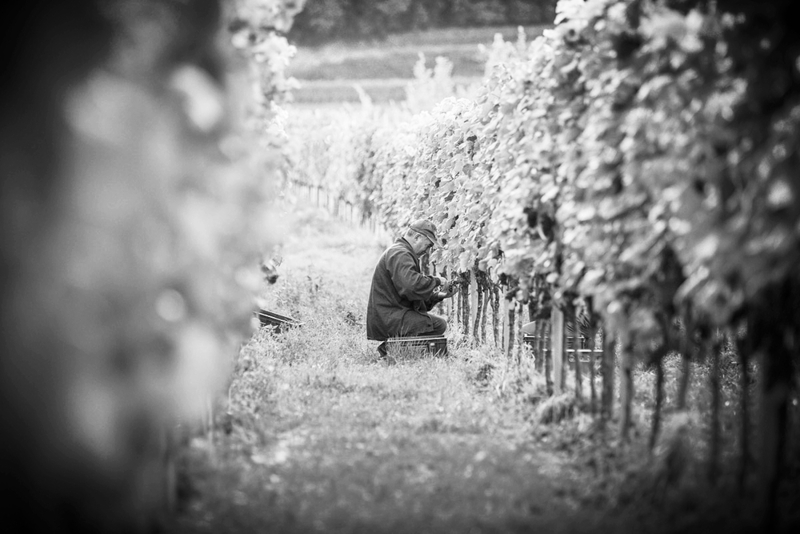 Strict, consistent and detailed vineyard management was crucial in 2013 and ensured Heger a harvest of healthy grapes. The 2013 wines are filigreed with tart acidity and moderate alcohol levels. 2012 was a year every vintner wishes for but rarely experiences. The first two weeks of January were extraordinarily warm, followed by a very cold period. A late frost did fortunately not harm the vines and also a hailstorm in May did not do any damage. The summer was dry but not too hot which enabled balanced structure to develop. Able to pick at the perfect time, Heger gained optimal balance in the wines. The yields were quite good overall but particularly low in the old vines of Pinot Noir which resulted in dark colored, dense wines with taught acidity and high dry extracts. This was a great vintage, all around. Formed in the Middle Triassic (240-230 million years ago) on the seabed of a tropical ocean by sedimentation of skeletal fragments of marine organisms such as corals and shellfish. Perfect for elegant, fruit-driven Pinot Noir. Following the collapse of the Upper Rhine Rift, volcanic activity formed the Kaiserstuhl Mountain (16-19 million years ago). Erupted lava solidified to basaltic rocks (Essexite, Tephrite, Dolerite). Ideal for Grand Cru wines with mineralic backbone. 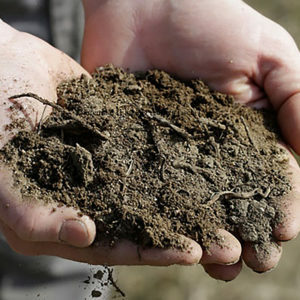 A typical nutrient-rich silt soil of the Upper Rhine Valley, formed during the last Ice Age by the accumulation of wind-blown dust. Preferably suitable for fruit-driven varietal wines. 2016 Silvaner*** Alte Reben "Pferd Willi"